A height adjustable kit with a tüv certificate. - Lowering approx. 30 to 50mm. - Monotube upside down shock. - Includes springs and shock absorbers. 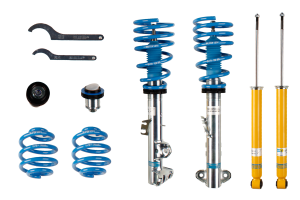 Damping and height adjustable coilovers. - 100 combinations for damping settings. - Adjustment settings with clear 1 to 10 indicators. - Can be adjusted when on the car. 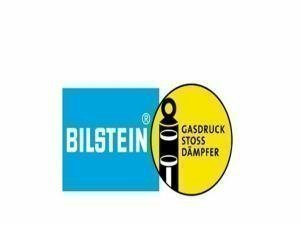 - Integrated gas reservoir saves space and is allowed in most competition classes. - Springs intended for competition use. - Aluminum topmount and adjustment rings lower weight. - Separate damping and rebound adjustments. - A good base for further tuning by shimming and adjusting springs.